REAL ESTATE PSYCHOLOGY: WHAT IS IT AND WHY SHOULD YOU CARE? Every property seller wants the highest possible price for their property, while every home buyer wants to spend as little as possible for the home of their dreams. This disconnection may prolong the sale of your home, a fact that can be emotionally draining. However, with the perfect ambience in a home viewing, buyers automatically compete to put in higher offers. To achieve such ambience, you have to understand Real Estate Psychology and the psychology of buyers. In this article, we break down the nuts and bolts involved in triggering the right emotions, which will help attract the highest offers for your property. Selling a home is like a first date or an interview and first impression is not just everything; it is the only thing that matters. Selling a home is about feelings and emotions. How do people feel when they first walk into your home? Do they want to leave immediately or do they want to stick around and explore? Are they excited, relaxed or bored? The ultimate goal is to appeal to the buyers’ emotions and evoke their deepest imaginations and desires. Help them envision their children running around the house happily. Make them feel at home, such that they can see themselves growing old in your property. All these factors narrow down to creating the best first impression. Statistically, first impressions are created within the first 5 to 10 seconds, but they last forever. So, where exactly do you start? Lighting is a key ingredient in the property world. If you want to light up their buyers’ hearts then you have to light up the house as well. Ensure natural lighting is plentiful by opening curtains and blinds. This will make the rooms appear larger and cleaner. If the property lacks adequate natural lighting, keep the overhead lights on and spruce things up with table lamps, especially in the bedrooms. The essence of maintaining good lighting in a property is to spark a lively mood. Well-lit rooms make a house feel brighter and happier, contrary to darker rooms which trigger dull emotions. Colour is one of the most powerful elements in real estate psychology. Studies show that different colours have different impacts on viewers. Not only is colour important, but hues and saturation also control moods, emotions and perceptions. When preparing your home for a sale, select the colours very carefully. Stick to neutral colours such as grey hues, cream, black, beige and light brown as a base. Avoid extremes and only use bright colours to accessorize the less permanent elements of a home such as throws, curtains and puffs. In addition, ensure the colours you pick correlate with the emotions and moods you want to spark. For instance, blue hues are strongly associated with calmness while green is considered a safe colour. Black on the other hand, is a dominant colour that triggers feelings of power. White is always deemed as a peaceful and clean colour that works well in creating contrasts. 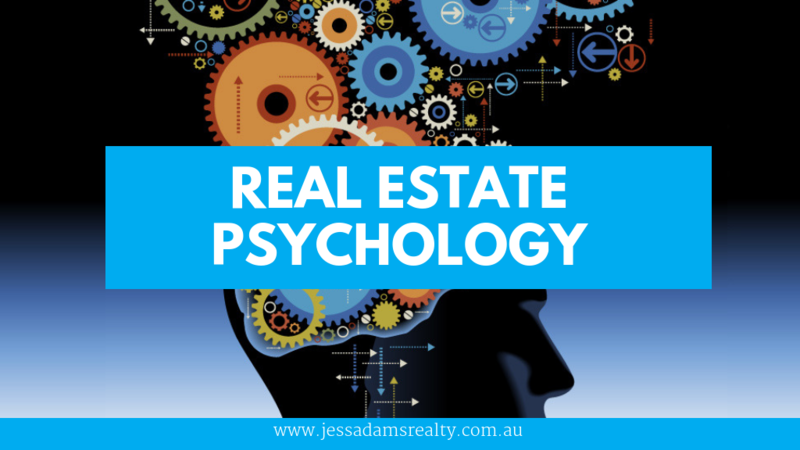 Real estate psychology is not just about what buyers are seeing. Touch and feel are as important as colour and lighting. These two qualities have a lot to do with textures and patterns. When choosing furnishings, pay attention to their textures. Different buyers will gravitate towards varied textures and patterns, hence it’s advisable to have a mix. You may go for plain textures on your sofas and beddings, accessorise with patterned of flowered throw pillow and curtains and then top is all off with soft, furry rugs and couch blankets. You may also add a miniature rustic feel through decorative art, woven baskets and coffee tables. While working on these elements, avoid extremes and consider buyer demographics. For instance, family homes are likely to attract people who appreciate simpler and safer homes that are easier to clean, while apartments attract younger buyers who appreciate rugged scenes. Fresh air is not just an important real estate element, it is a basic human need. No one wants to live in a home that smells bad. It is one of those attributes that should be as subtle as possible, yet prominent. When buyers walk into an open house, they do not want to notice that there’s a strange smell, they just want to experience a “fresh” feeling. As real estate experts, we can assure you that almost every client who walks into an air deprived home will walk away almost immediately. Therefore, keep things fresh by opening windows during the day. You may spice things up by lighting soft scented candles but be careful not to capture too much attention. When artificial scent becomes too noticeable (like heavy incense), buyers get suspicious. They assume the scent is a cover-up of something much worse. The process of selling a home, especially if you’ve lived in it, can be emotional. You may want the house to look like your home, but this is not always good for business. Take your emotions into consideration and find a way to reconcile what you love and what potential buyers want and expect. Keep personal items, especially those which reflect personal taste and preferences, away. This will help you to appeal to as many people as possible, rather than attracting the attention of a few people with the same décor preferences as yourself. It pays to get an extra opinion, especially from experts. Having sold countless homes for our clients, we can assure you that selling a home requires more than just staging the perfect scene. Buyers need to be sure you can handle the paperwork and that you will complete the transaction smoothly and professionally. In addition, you also need to get the best deal for your home. Experts know when it’s time to close the deal and when it’s time to push for higher offers. The presence of a certified and experienced real estate agent is reassuring to buyers and it automatically makes them happier to pay top dollar for your home. Get an expert to work with you from the word go. Our agent will not only help you handle the paperwork, but they will also give you basic advice in staging the home and handling crucial questions from customers. The open day or pre-booked viewing is the chance to show your property at its best to prospective buyers. You should prepare for this day by creating a checklist of everything that needs to be done in every room and outside, so it presents at its best for viewing. Ensure you give the best first impression possible and show a light, airy, neutrally base home filled with interesting contrasting colours and textures that will appeal to a wide variety of buyers’ taste. Make it easy for buyers to envisage themselves living there by using the valuable tips above. Remember, choose a real estate expert to guide you and follow the rules of the psychology of selling to ensure you get the highest possible price for your property.